Visitors to our shop (most of them from Earth) have been drawn to this guitar throughout its construction. Even before we added the color, the wood grain is just striking, and is under-represented in a photograph. 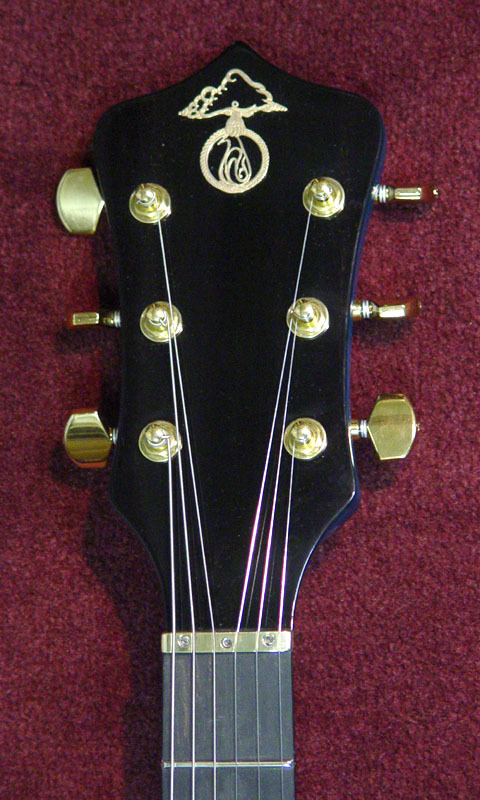 Flame Maple top exhibits a "broken curl" figure. 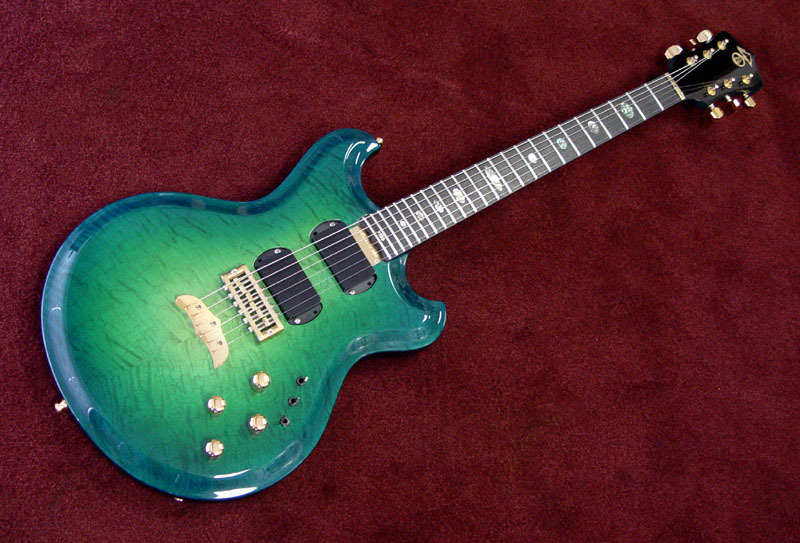 It's really active when moved and compliments the custom Oceanburst finish, which is a little different than usual. 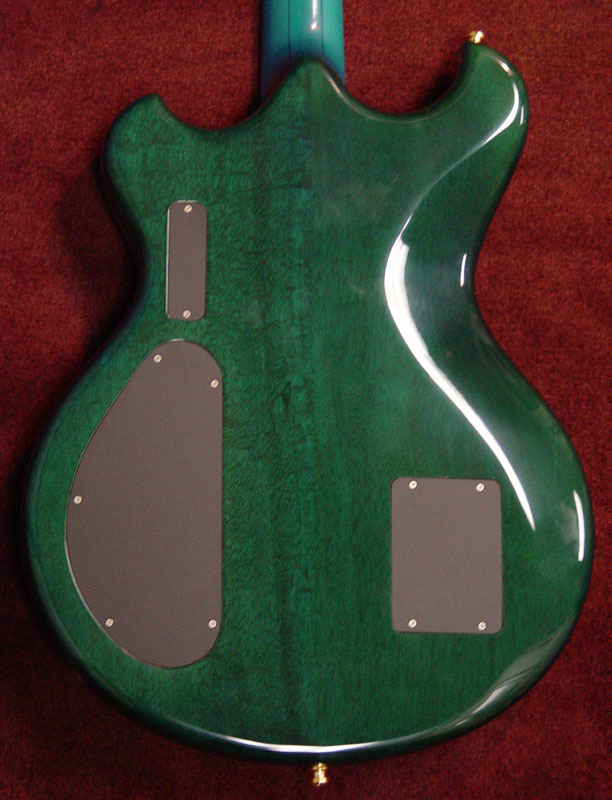 Jim at Guitar Resurrection requested to have a more green center front of the guitar. The back of the body, neck and peghead are blue-green. The finish is simply electric. 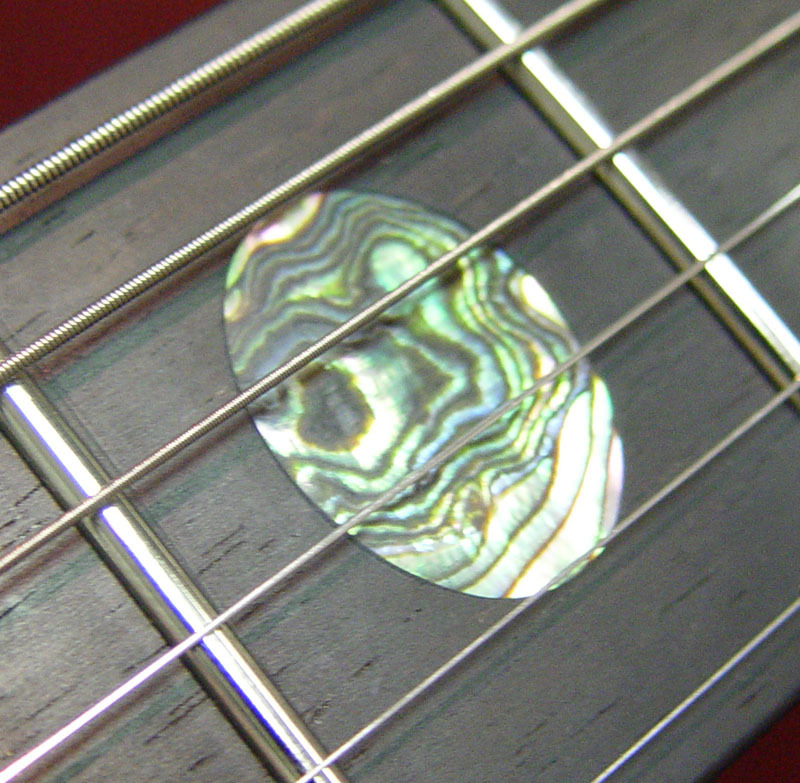 We've left the peghead clear finish on the front to set off the natural black of the Ebony front veneer. Controls: 2 volumes, 2 filters, off/on/bright for each pickup, on/off for side LEDs.